done by hand. They also have a cat, named Coast, who sleeps in the service bay. 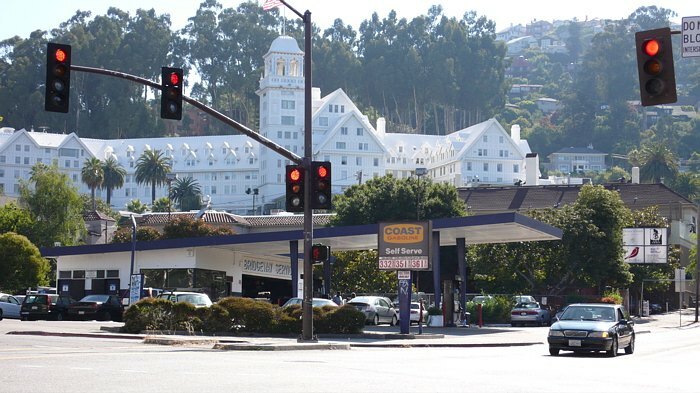 In the background is the Claremont Hotel and Resort, which is quite a sight. 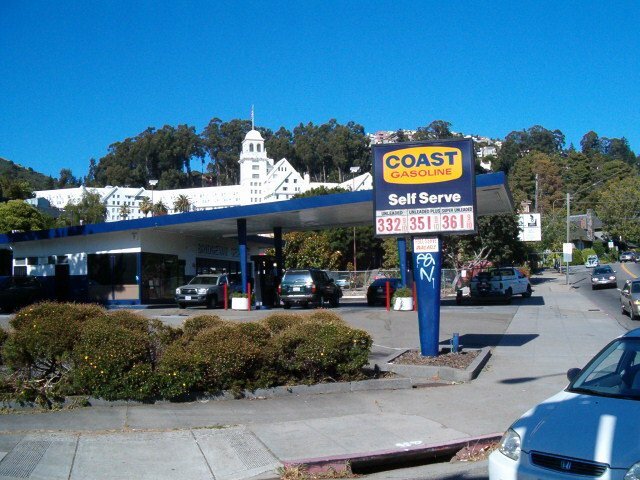 Photo taken July 2, 2007 by Lisa Margonelli, who also provided the above information. A closer look at the sign above. Taken July 1, 2007 by J. Eric Freedner. Part of an old Flying A ad showing the canopy style of the above station. Clipped from an ad that can be seen on the Flying A page. 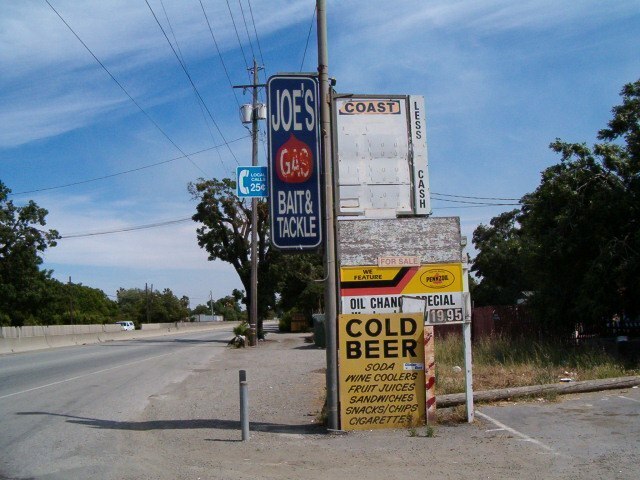 An old bait shop on Monterey Road (old 101) just south of San Jose, Calif.
Photo taken May 8, 2004 by J. Eric Freedner.